In 1999, Clark Elliott suffered a concussion when his car was rear-ended. Overnight his life changed from that of a rising professor with a research career in artificial intelligence to a humbled man struggling to get through a single day. At times he couldn’t walk across a room, or even name his five children. Doctors told him he would never fully recover. After eight years, the cognitive demands of his job, and of being a single parent, finally became more than he could manage. As a result of one final effort to recover, he crossed paths with two brilliant Chicago-area research-clinicians—one an optometrist emphasizing neurodevelopmental techniques, the other a cognitive psychologist—working on the leading edge of brain plasticity. Within weeks the ghost of who he had been started to re-emerge. Remarkably, Elliott kept detailed notes throughout his experience, from the moment of impact to the final stages of his recovery, astounding documentation that is the basis of this fascinating book. 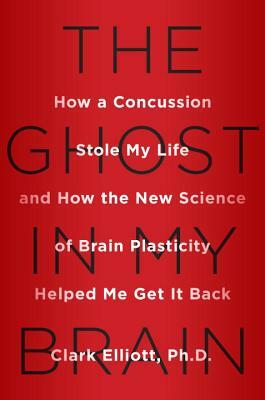 The Ghost in My Brain gives hope to the millions who suffer from head injuries each year, and provides a unique and informative window into the world’s most complex computational device: the human brain. Clark Elliott, PhD, is an associate professor of artificial intelligence at DePaul University. He holds three teaching certificates for music, the B.M., M.M. (music), and M.S. (computer science) degrees, and a PhD from Northwestern’s Institute for the Learning Sciences with an emphasis on artificial intelligence. He lives in Evanston, Illinois.